Of the hundreds of athletes who competed this weekend at Crankworx Rotorua, only one went home after his race and started his homework. That one would be Sean Bell, a 16-year-old junior at El Toro High School in Southern California, who's in New Zealand on his first international trip ever to race the enduro for his sponsor, Santa Cruz Bicycles. "School's still actually quite important for me because I don't want to put all my eggs in one basket you know? So I still work pretty hard in school. I don't want to put everything into biking, I think it's very good to have an education as well," says Sean, a tall, lean teen who looks to be purpose-built for XC racing. Pretty insightful for a 16-year-old. It's obvious almost immediately that Bell has his head on straight and his priorities in order. He’s enrolled in an early college program so that when he graduates high school, he'll already have his two-year Associates degree. That way, if this whole professional mountain biking thing doesn't pan out, he'll have a head start on college. So whenever there was downtime during Crankworx, out came the books. "The guys are looking at that kind of funny,” Sean laughs. “I don't think they've seen someone have to do schoolwork in a while." By 'the guys' he means Cedric Gracia and Greg Minnaar, the mountain bike legends and fellow Santa Cruz riders he counts as mentors and roommates during races. Sean seems to take it all in stride. 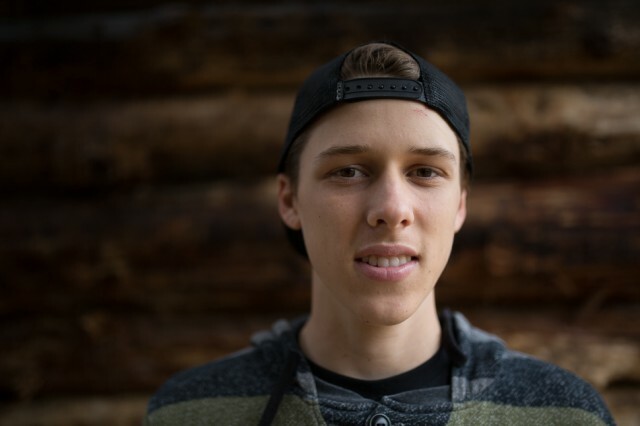 He finished 15th out of 37 in the men's Under 21 category in the inaugural Enduro World Series race this past Saturday in Rotorua–his first pro-level race and third-ever enduro–on trails that couldn't be further from the dry, dusty, loose SoCal trails that he’s accustomed to riding. "The dirt and the roots, in Socal there's nothing like it. The trails were so gnarly, there's not many trails that are that gnarly with those conditions. That's why I was happy I was able to ride them all, just get my bike down them. And I think over time, the speed will come, so I'm trying not to rush it," he says. And, he added, there's no pressure from Santa Cruz to bring home instant results. Bell, who's the son of supercross legend Mike 'Too Tall' Bell, grew up racing motocross in Southern California. He first started riding cross-country to cross-train for moto and realized he was actually pretty good at it. When he was 13, he swapped the motor for his legs and started racing XC. Around the same time, the National Interscholastic Cycling Association, or NICA, was gaining momentum at high schools in Southern California. When he started at El Toro, he joined the NICA league there, and started winning races. Last year, he outgunned 100 other California varsity-level riders to win the state championship. Mike Bell had known Santa Cruz founder Rob Roskopp for many years, and when Sean started getting on the podium Roskopp sent him a frame. This year, he was named a Santa Cruz free agent, which basically means he has full sponsorship, but isn't part of the Syndicate team. He is also sponsored by Bell helmets (no relation), Alpinestars and Ryno Power. Sean’s plan for the season is to race all but one of the Enduro World Series events, as well as try his hand at a couple of domestic downhill races. Kathly Sessler, the Syndicate team manager, says Roskopp sees a long future between Sean and Santa Cruz, which is why they're starting slow and encouraging him to try different disciplines so he can naturally figure out where he best excels. "There's a brilliance in there in between those ears," Sessler says. "His physiology is remarkable. There are diamonds in there that just need to be polished out. He has a physical gift and a mental gift and it's obvious." Sean isn't rushing himself either. 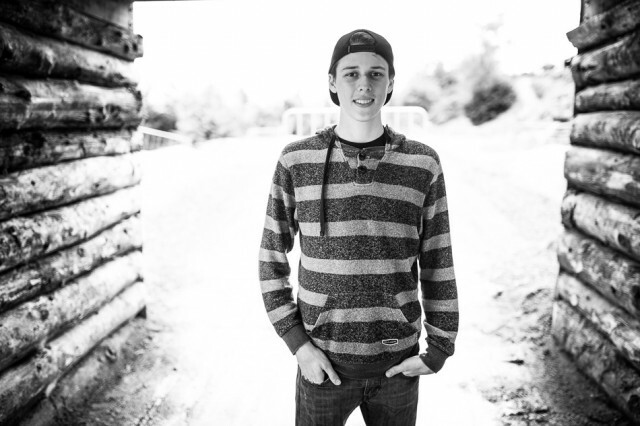 He wants mountain biking to be his career, but understands that will take time. "As of right now, I'm just trying to be patient with it, with the whole development stuff. When I see Cedric and Greg ride and I ride with them I see how fast they go, it's like: Man I want to be that fast, right? But it doesn't come overnight. I'm trying not to force the issue, just let time play out and get more comfortable on the bike." In the meantime, Bell insists he maintains a normal life, doing normal teenage things like going to school dances. Except for prom. For that, he'll be in Ireland racing the EWS.